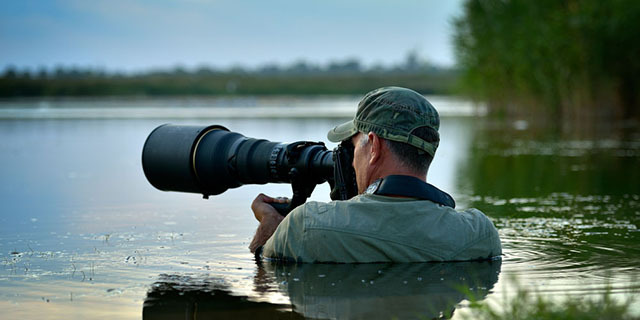 Photography has attracted many people. In fact, looking at CIPA data suggesting that 75.3 million DSLR cameras have been sold worldwide during the past five years, photography has claimed a prominent place as both a fun hobby or a promising professional career. Apart from the fun side, the necessity of knowing the basic regulations of what crosses the line and what does not is undeniably important. Well, without hours of browsing through photography related regulations and policies, here is the list of the most general rule of thumb you may need to know as someone who is into this photo taking art. Not necessarily related to the presence of a public figure, taking pictures of people on the streets is a common thing to do. In fact, street photography has been noted to be a hot online photography genre. As harmless as it looks, it is good to know which areas are considered safe zone for photography. While public places are commonly safe, the toilet area and ATM are not. Snapping a picture of someone who is taking out cash at an ATM can cause legal trouble. On the other hand, taking photos of a private property, that generally requires consent, can be lawfully done from a shot in a public place. However, this does not apply for military and federal properties as the photos of the buildings are considered to possibly threaten national security. Should having the pictures of the buildings be of high importance to you, attempting to get a legal permission from the related authority is wise. The courtesy of asking for permission from a property owner also defies possible trespassing charge. However, the bottom line of street photography is that you can snap photos of people while they are on public area and in situations which do not require any privacy. Just like any other forms of art, photos are hot stuff to sell. Even with ordinary (not famous) people in them, they can be used for commercial purposes. In this case, the photographer needs to have the models’ approval before commercially using the pictures. A model release form is needed in such case. Otherwise, the model(s) can sue you. The same thing applies to buildings that are considered a trademark. To include such architectural features, like a monument, sculpture and etc, a property release from the owner must be obtained. This property release form is also obliged if you plan on shooting on either a monumental or private property. Referring to the American First Amendment, newsworthy photos are allowed to be displayed in an editorial. The 2008s Nussenzweig V. DiCorcia stated that photos shown at an art exhibition are not to be included in the ‘for commercial use’ category despite the likelihood of commercial benefit received by the artist(s). Nevertheless, it is always good to be fair, which means your models are well informed of the commercial actions and have agreed with the arrangement. As a photographer, the work of others is sometimes needed to complete your own project(s). As an art creator yourself, you may have known that copyrights protect your work. That being said, it goes the same to your fellow photographers. What is not so commonly known is that, according to the 1978 stipulation, a copyright is valid for a lifetime, which is then continued until seventy years upon the creator’s death. Crediting the art creator for the work is not enough. Pocketing their permission to specifically use their work in a way you have planned is good. But, when business is involved, it is best to make a written agreement with the creator(s). The agreement may include licenses, royalties and payment terms, which both parties see as fair. In regard to the commercial use (rule number 2) mentioned above, if you plan to open up a photography business, especially in a country that has similar LLC (Limited Liability Company) regulations like the United States, you may want to register your startup photography business as an LLC. By doing so, your whole assets will not be at risk, should there be any lawsuit regarding the photography business. In addition, making sure that there is always a legal contract signed by your client and the company for every project is essential. Including possible recourses into the contract is also a wise thing to do. While the conditions above are from the US policy and are likely to be different from the ones applied in your home country, the awareness of the court sue possibilities of the actions presented above may be of use for future references. These legalities aren’t meant to su your creativity. In fact, as strange as it may sound, they’re meant to protect you. Sure, they may prove inconvenient from time to time, but ultimately it’s for the good of all involved. If you have any questions about Photography and Copyright Law please contact a local attorney specializing in copyright law. I can’t offer advice on any questions about copyright.